This is the reluctant sale of my 1975 Colt Galant. 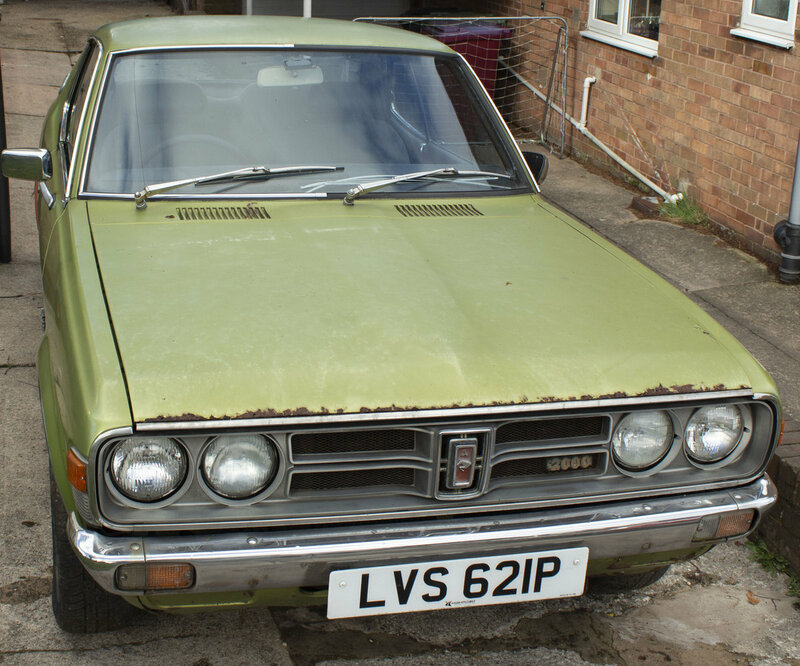 Following a change in circumstances I have the only Colt Galant 2000 DL registered in 1975 left in the UK. This rear wheel drive car was my first car and I completed around 40000 miles in it in the early 2000’s. I rebuilt the engine, the breaks the suspension. It has been off the road for 9 years due to children. It has been kept dry in a garage until recently. When on the road it was fun to drive quite quick especially off the mark, the duel barrel carb with one barrel running off the vacuum, gave that old fashioned boost. It only weights 995KG and the 2 litre engine has loads of torque and power. 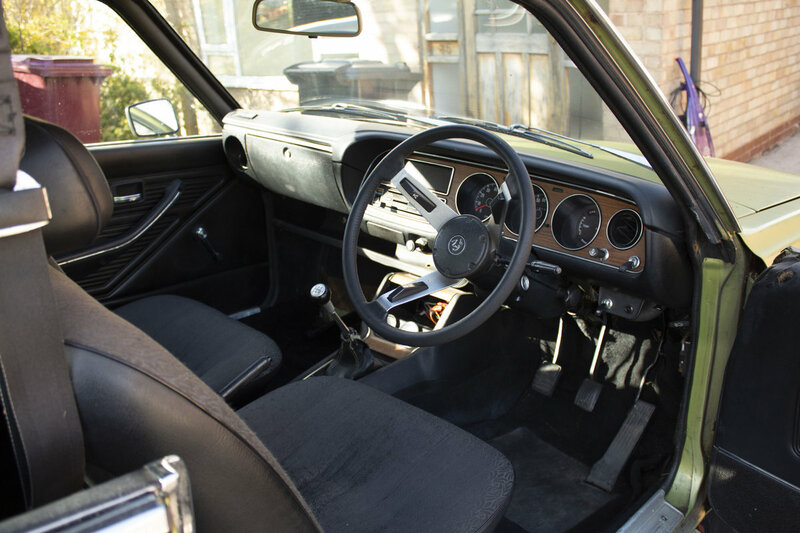 The car now, as you can see from the pictures it needs work. 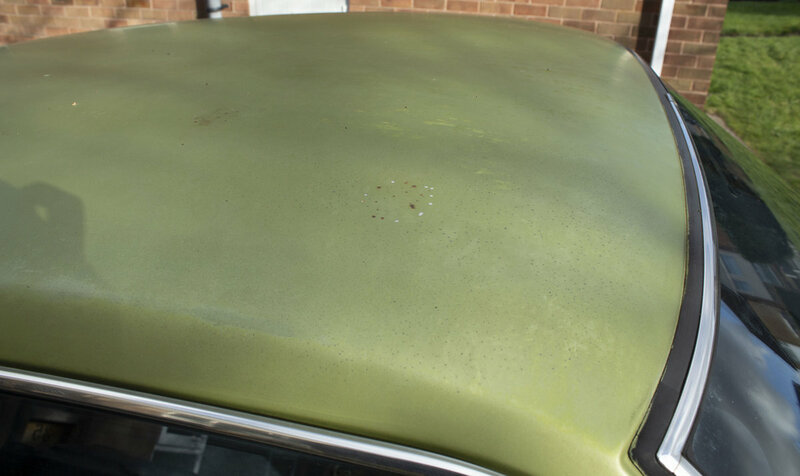 Recommissioning and some patches of welding would gain an MOT, (exhaust has a leak) although its exempt. But to make it back to its former glory a lot of work would be needed. 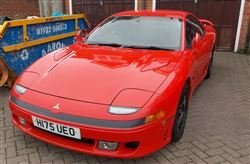 But it would be worth it, reliable quick rear wheel drive with the Japanese American style, it is only going to go up in value. 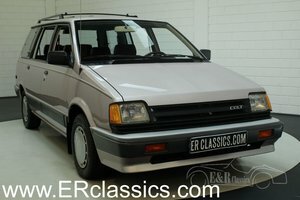 For anyone who doesn’t know about these cars they where designed to fit into the dodge line up it was called the dodge colt, the small dodge charger. You also get OK MPG 30 – 35 on a run. In my ownership I rebuilt the engine including one new vale stem and new exhaust valves, the head was skimmed, new piston rings big end bearings and little end, new seals, new clutch. It has an electric fuel pump as the diaphragm went in the old one. The carb was stripped and rebuilt. After the engine was like new, few years ago now. I also put new disks callipers and shock on the front, and rebuilt the rear breaks with new lines throughout, again a few years ago now. 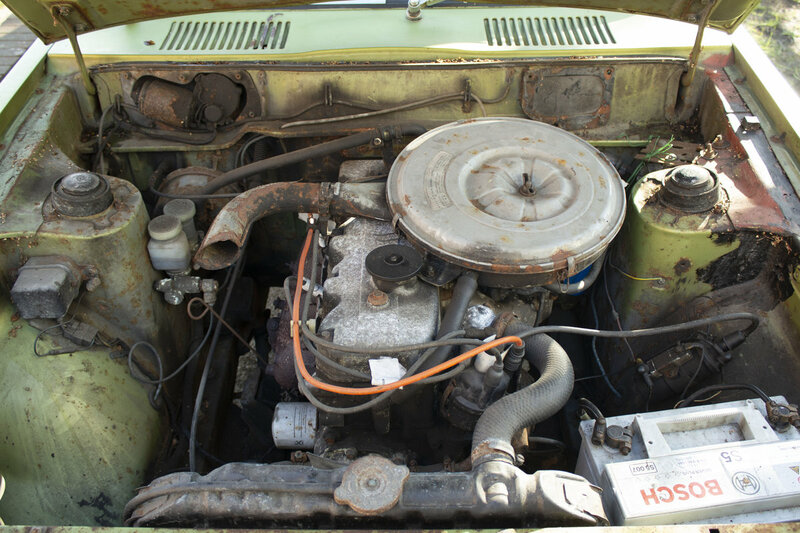 The radiator was re-cored and new water pump was fitted. The petrol tank was also renewed, by a company who gave me a 5 year guarantee which has expired. 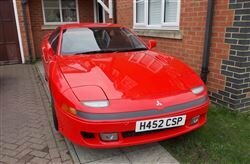 This pillarless coupe is a very rare sight in the UK, I saw a couple in Australia, and they are still common in the United states. Parts for the engine drive chain are easy to get, either the united states or forklift companies, the engine was used in forklifts till the 1990’s so they are still in use. 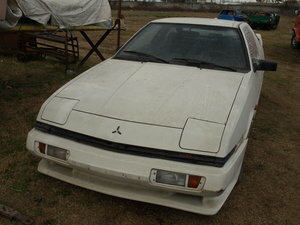 The body work and paint are poor as you can see from the pictures. 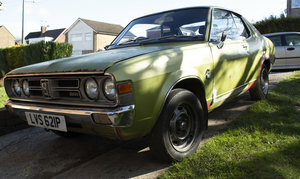 But I think its fairly solid, it passed the last MOT with few advisories, I’ll try and find it. The simple but good quality mechanics make it a dream to work on, metric nuts and bolts. I have a picture of the engine out hung from a ceiling, taken at 7pm I had driven it 15 miles by midnight the same day. Can be heard running, and can be moved on the drive, it has 5 speed gear box, automatic choke and starts on the button every time. I have priced it because I don’t really want to sell it, but I would and if you are prepared to pay for it I know you’ll treasure it. I have had offers close to the asking price.